Streak-free windows for your home. Attention to detail - everywhere. Let us clean your commercial storefront to show your best side! Clean windows give your facility a professional look. 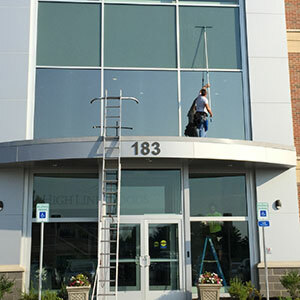 Corporate window cleaning services with a lasting shine. Sparkling clean windows all around. Let's talk about it. Tap here to call. We'll get your windows sparkling clean - Call us! 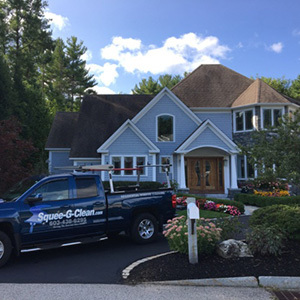 Squee-G-Clean offers professional residential window cleaning and commercial window cleaning in the seacoast area of New Hampshire, Southern Maine, and Northeast Massachusetts. They are neat while working, they are fast, they are professional and polite. The results are clearly excellent! Great service to recommend to anyone without any hesitation. Dan put in extra effort cleaning [...] with a magic potion he made the 30 year old glass door look like new. Professional, reliable and careful. A perfect job! It was the first time I'd ever hired out my window cleaning and I could not be more happy w/the results! Squee-G-Clean does a thorough job, inside and out! They are neat, polite, professional, and fast! Dan was very professional and friendly. He is meticulous and very careful. I'd highly suggest him to anyone. Best service in town, nice people, a pleasure to have them cleaning our windows! All around A++++!!!!! Great job, great guy - AWESOME!!! Dan is very professional and did an excellent job! They are simply the best. Sparkling windows. Well priced. On time. Fantastic residential window cleaning ... Dan is the man. ... exceptional job cleaning our windows for our commercial space ... very prompt, professional and meticulous. Always professional, polite, and timely! Our windows are not only clean but they look like they are polished. Excellent service is an understatement. Can't say enough. I am completely thrilled with my experience. Dan is very professional and meticulous. Great job cleaning our windows, especially the skylights! Dan did a great job on my old windows. Need to wear my sunglasses in side now! Read an article about Dan Rinard and Squee-G-Clean LLC. Squee-G-Clean specializes in residential and commercial window cleaning that removes dirt and grime, leaving your windows sparkling. Squee-G-Clean’s residential window cleaning hours are Monday – Friday, 7am–7pm. Commercial janitorial services are available 24 hours a day. Call us at 603.438.6295 to inquire or email us here. 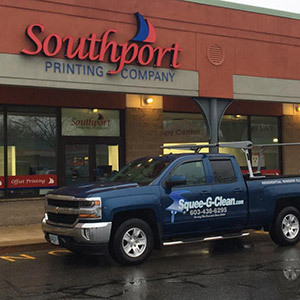 Our service area includes the Southern Maine and the whole New Hampshire Seacoast from Portsmouth, New Castle, Seabrook, Hampton and Rye to Kittery, Maine, York ME and Kennebunk ME, as well as Northern MA. We also service most of Rockingham County including North Hampton, Exeter, and Newmarket as well as Strafford County including Dover, Rochester and Somersworth and all towns in between. We provide the highest quality window cleaning services at competitive prices. Our courteous staff is respectful of your property and ensures quality clean every time - satisfaction guaranteed! Squee-G-Clean takes pride in delivering impeccable service in a timely manner. 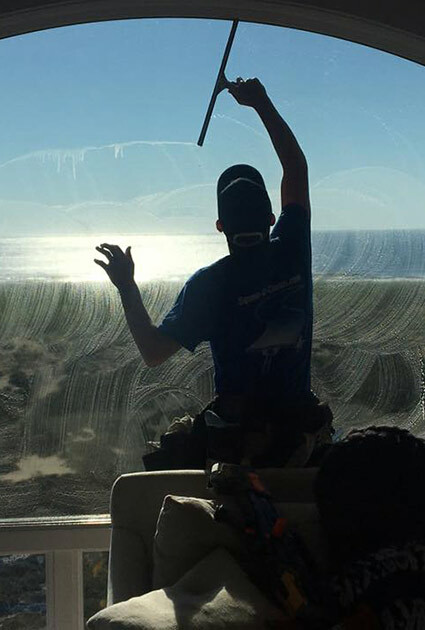 Our attention to detail gives your windows a streak-free, lasting shine. 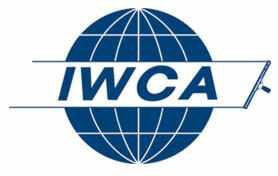 Squee-G-Clean is member of the International Window Cleaning Association. Learn more about our storefront window cleaning here. Interested in window cleaning for your commercial property?